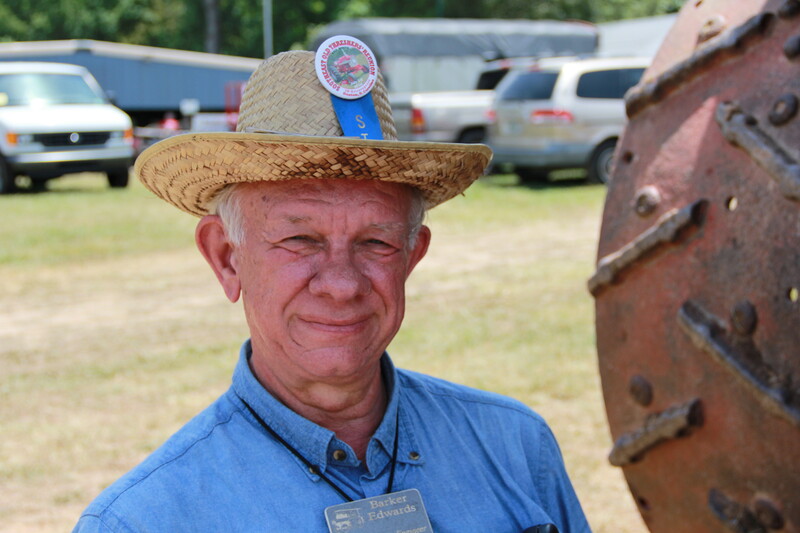 One of the best parts of vintage tractor shows is getting to meet people like Barker Edwards. Mr. Edwards is a licensed operator of steam equipment including tractors, trains, and steam shovels. Working with steam engines is a risky business at best. Explosions can cause fatalities, and, as when dealing with any machinery, safety is a key issue. Men like Barker Edwards keep vintage equipment running safely so places like Denton Farmpark can share history with the public.